categories Triangle Copy 3 Created with Sketch. A little corner of the internet dedicated to delivering you the travel inspiration goods on the daily. When you're young it's hard to identify as any one thing. I cringe every time someone asks me what I do for a living because my answer changes on a daily basis. I’m the type of person who has three separate resumes for different industries, and I rarely stay in one place longer than a few months at a time. I made a goal for myself to live abroad for a year in my twenties. My window of opportunity opened when I was 24, so I took a leap of faith and left the United States, not knowing what the world had in store for me. I set this goal to challenge to myself to reach out of my comfort zone, learn something new and establish myself as an individual. When I left America, I was excited not to have to answer the question “what do you do for a living?” It’s not something travellers ask each other when they first meet. It’s completely different to my old way of life, where I would introduce myself as my job title, rather than by my name. But as I began my journey, I realized that there are a different set of labels in the travel world that I didn’t quite understand. Labels that you might not introduce yourself as, but rather give others the assumption that this is who you are. Am I a free-spirited backpacker? A tech-savvy digital nomad? A fearless explorer? A not-so-lost wanderer? Or an envied Instagram influencer? Does it matter? Now that I’m on the road, I wonder where I fit in among the current stereotypes of travellers. At times, I consider myself a backpacker because I travel from place to place, fairly quickly, with nothing but a backpack and an open mind. But being a backpacker also comes with the stereotype that I’m on a super strict budget, washing down two-minute noodles with a beer every night and probably haven’t had a proper shower in some-odd days. That's not really my style. Other times, I consider myself a digital nomad because I’ll settle into one place and work online as a freelance writer. Yet, there’s a stereotype that digital nomads move to an island, drink from a coconut, sit in a hammock and work from their laptops all day. Personally, I haven’t found a hammock with good enough wifi to do that. So my version of being a digital nomad looks more like me sitting in a small room typing away while the sun shines in the foreign place outside my window. Not so glamorous. Now that I’ve been travelling for almost a year, I’ve found that I’m not limited to a certain ‘travel style’ because travel is so much more fluid than that. You become the freest version of yourself when you travel. And that doesn’t come with a label. So now, when people ask me what I do, I say, I’m just living. And that’s good enough for all of us. 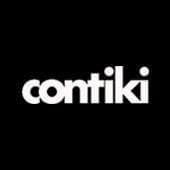 Ⓒ Copyright 2018 Contiki. All rights reserved.